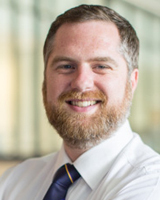 David Carter is a National Health and Medical Research Council Early Career Fellow and Senior Lecturer in the Faculty of Law at UTS. He focuses on the legal, regulatory and governance challenges involved in the delivery of safe, effective and sustainable healthcare services. At present, he teaches and writes on the regulatory practice of health law, public health law and criminal law, applying theoretical and empirical methods in aid of advancing legal and regulatory strategies for reducing the burden of healthcare-related harm and death. Prior to joining UTS, David worked in a variety of management roles in the healthcare and not-for-profit sector, ranging from primary healthcare services in remote Australia, rural and metropolitan health infrastructure development projects, the management of private hospitals and an iconic inner-city homelessness service, The Wayside Chapel. He was named a Quentin Bryce Law Doctoral Fellow, where he engaged in a critical, interdisciplinary approach to the criminal prosecution of iatrogenic (healthcare-related) deaths in Australian hospitals. With the current scheme, early data show that health care organisations are responsible for almost one-quarter of data breach reports, while just over 50% of all reported breaches are due to human error.2 These results underscore the importance of the scheme for health care practitioners and practices, as well as the central role internal systems and staff play in combatting the risk of a data breach. Carter, DJ 2018, 'Clinical Guidelines, Processes and Standards: Their Influence on Legal Proceedings for Iatrogenic Harm and Death', ISQua's 35th International Conference - Heads, Hearts and Hands: Weaving the Fabric of Quality and Safety in Healthcare, Kuala Lumpur. Objectives: Clinical guidelines, protocols, standards and other guidance documents ('clinical guidelines') form an increasingly central practice of clinical governance, deployed in an effort to govern and improve healthcare quality and safety. As clinical guidelines have proliferated, researchers have examined their content and relationship to evidence, have tested methods of guideline development, have debated the practical and political aspects of guideline use, have measured compliance and have observed 'work- arounds' and improvisation surrounding them. However, there is more limited research on the influence of clinical guidelines in the legal context. This study examines the influence of clinical guidelines on Australian courts in the context of legal proceedings relating to iatrogenic harm and death. In particular, it details how the law borrows and dynamically transforms the values, principles and practices expressed by clinical guidelines, but in so doing is comes to reflect - and thus reinforce - the values and standards of medical practice, rather than imposing standards dangerously alien to good health care. Methods: A structured doctrinally-focused review and examination of the recent use of clinical guidelines and accompanying jurisprudence generated by Australian, British and Canadian courts in legal proceedings relating to iatrogenic harm and death was undertaken. The review focused on the use and influence of clinical guidelines upon criminal and tortious (i.e. litigation) matters that were officially reported between 2010 and 2017. Doctrinal analysis, a method common to law and legal studies research, is applied to understand what might be necessary or even attractive about the way in law comes to borrow and re-structure itself by use of clinical guidelines. Carter, DJ 2018, 'Use and Performance of Confidentiality and Qualified Privilege Regimes for Quality and Safety Improvement Projects', ISQua's 35th International Conference - Heads, Hearts and Hands: Weaving the Fabric of Quality and Safety in Healthcare,, Kuala Lumpur. Objectives: Protecting information generated by certain health care quality assurance and improvement activities is understood to be essential to maintain the cooperation of practitioners. Australia has one of the longest-standing such regimes at both State and Commonwealth levels. It empowers, for example, the Commonwealth Minister for Health to declare a project or activity a 'quality assurance activity' ('QAA'). This provides a wide ranging form of qualified privilege for the QAA and resulting data. This includes creating a criminal penalty for disclosure of information, precents the production of documnts to a court that were brought into existence solely for the purposes of a QAA and immunities for members of assessment or evaluation committees in certain circumstances. The aim of this study has three key goals: (1) to examine the use and application of this important qualified privilege regime since its inception; (2) to investigate the performance of the regime; and (3) to explore the relationship between the need to improve the effectiveness of health care quality and safety programs by removing concerns that information practitioners and researchers contribute will be used to their detriment and the public interest in accessing information about the safety and quality of the health care system. Methods: Each QAA declared by the Commonwealth Minister for Health between 1992 and 2016 (n=133) was evaluated using an instrument developed for the purpose. Data were extracted on a range of features, including the clinical specialty to which the underlying study or project related, the form of quality or improvement activity (e.g. improvement project, registry). Providing feedback to students is among the University's most resource intensive tasks. Such intense resource use — coupled with significant advances embedding practice-oriented, real-world, innovative assessment approaches envisaged in the revised UTS Model of Learning and learning.futures approach — made it timely to trial and evaluate electronic oral or audio feedback as a new feedback strategy used in UTS: Law. Scholarship suggests that electronic oral or audio feedback practices facilitate more effective student learning and simulate the demands and experience of feedback in professional practice whilst enhancing the uptake and use of feedback by students. Given this, the overarching aims of the this project were threefold: first, to facilitate student learning by increasing student engagement with feedback, and encouraging its use to improve student work; second, to further embed development of graduate attributes (critical analysis and evaluation, communication and collaboration, and self-management); and, third, to enable students to experience 'real-world' methods of receiving and using feedback. To achieve these aims, the Project developed, piloted and evaluated the use of electronic oral/audio feedback in UTS undergraduate and postgraduate Law core and elective settings. The death of 13 year old Louis Tate at Frankston Hospital in Victoria made headlines across the country. Tate, who had a well-managed but severe allergy to cow's milk, nuts and eggs, died at Frankston Hospital following a severe anaphylactic reaction caused by food served to him by the hospital. Tate required intubation, and died from a rare complication of anaesthesia, malignant hyperthermia. The findings of a coronial inquest into his death were recently handed down. The inquest raised a range of issues, especially bringing attention the need for all hospital services and activities – not only the obviously 'clinical' ones – to be an active part of the patient safety agenda and the need for hospital and health services staff to follow proper procedures for securing evidence for internal investigation and potential coronial cases. This dataset contains research data associated with the declaration by the Commonwealth Minister for Health of quality assurance activities under provisions of the Health Insurance Act 1973 (Cth) as created by the Health Insurance (Quality Assurance Confidentiality) Amendment Act 1992 (Cth). A declaration of a quality assurance activity provides a form of qualified privilege for the activity and resulting data generated by it. This includes provisions that create a criminal penalty for disclosure of information relating to a declared quality assurance activity, that a person cannot be required to produce to a court a document that was brought into existence solely for the purposes of a declared quality assurance activity or to disclose to a court any information that became known solely as a result of such an activity and immunity from suit of members of assessment or evaluation committees in certain circumstances. The dataset contains a register of declarations made since its enactment in 1992, copies of legislative instruments (the declarations and accompanying documentation) published in the Commonwealth Gazette or the Legislative Instrument Register of the Commonwealth. The data forms part of a larger project which investigates the incidence and use of quality assurance declarations in the jurisdiction. This dataset contains research data associated with the criminal prosecution of manslaughter by criminal negligence and cognate offences arising in the healthcare and medical context in Australia with accompanying reference to primary and secondary sources including newspaper reports, archival sources. It is part of a larger project which investigates the incidence of such 'medical manslaughter' prosecutions in the jurisdiction. The research data collected over the life of the project provides evidence for a larger number of prosecutions than had been acknowledged by the scholarly and historical literature to date. Carter, DJ, 'Responsibility for Iatrogenic Death in Australian Criminal Law'. Iatrogenic harm is harm, including death, that arises in the course of medical or healthcare treatment and is caused by the application of treatment itself, rather than by the underlying disease or injury. Each year, some 27,000 deaths in Australian acute care hospitals are associated with iatrogenic harm. Such harm in its iatrogenic form raises for us, in an urgent contemporary setting, some of the perennial questions associated with moral and legal answerability and questions of the limits of medicine, the difficulty of healing and of the politics of care. Criminal law, in the form of manslaughter by criminal negligence, has been heavily criticised whenever its deployment has been contemplated as a response to iatrogenic death. And yet, the doctrine both remains in place, and exerts a significant influence on the regulation and conduct of medicine and healthcare. To understand why criminal law, despite its rare use, has been subject to such strident critique, I focus upon the assemblage of ways of knowing (epistemology), of deciding (ethics) and of acting (praxis) known as the 'healthcare quality and safety sciences', or more simply, the 'patient safety' movement, that has been its chief interlocutor. In response to the charge made by the patient safety movement that criminal prosecution is both unhelpful and unjust, I argue that these calls for rejection of manslaughter by criminal negligence have not been sufficiently attentive nor responsive to the actual practices of criminal law in this field; not to the history of its use, to its particular understanding of human action in health care, or to its mobilisation in the courtroom. As this thesis shows, when these foundational aspects of law's actual practice in the field are more fully and critically engaged, they seriously destabilise the validity of claims that manslaughter by criminal negligence is unhelpful or unjust when applied to iatrogenic harm in the Australian setting.